 sunny street cafe Archives | What Should We Do Today? 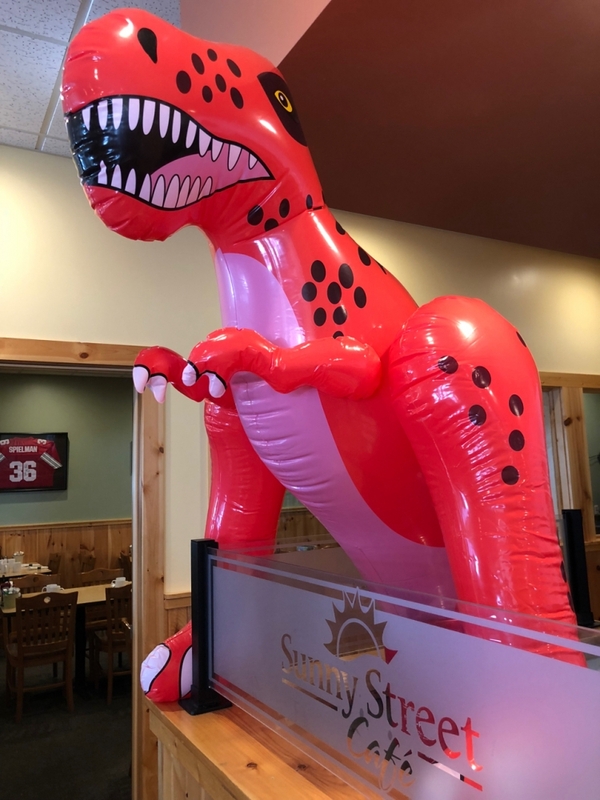 This week only, July 16-20, 2018 Sunny Street Café will be offering a free Dino Pancake with the purchase of an adult entree for children 10 years and younger. 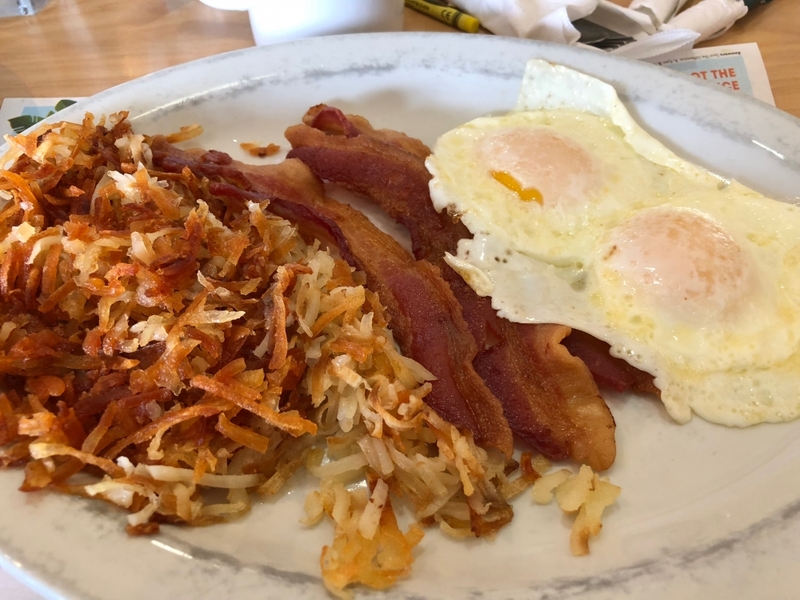 Thank you to Sunny Street Café for sponsoring this post! 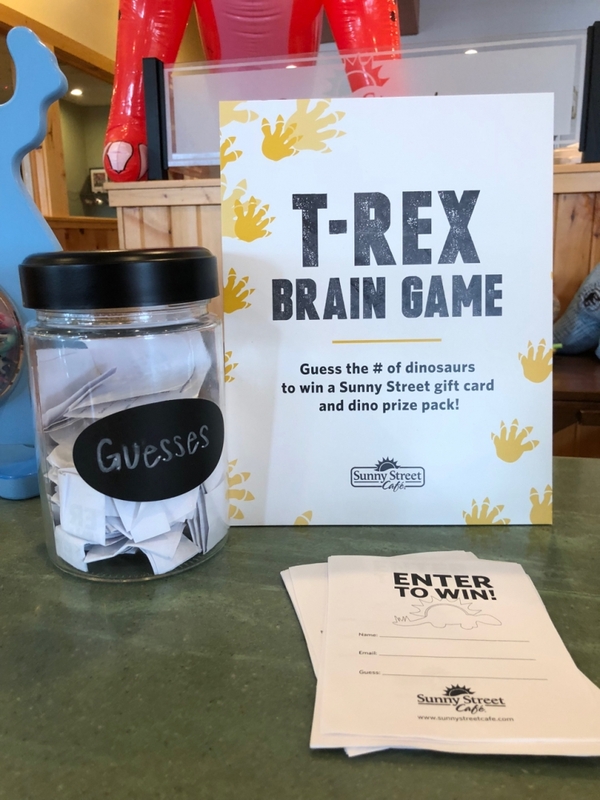 All Central-Ohio locations of Sunny Street Café are celebrating your kids and their love of dinosaurs with Dino-Mite Kids Week! 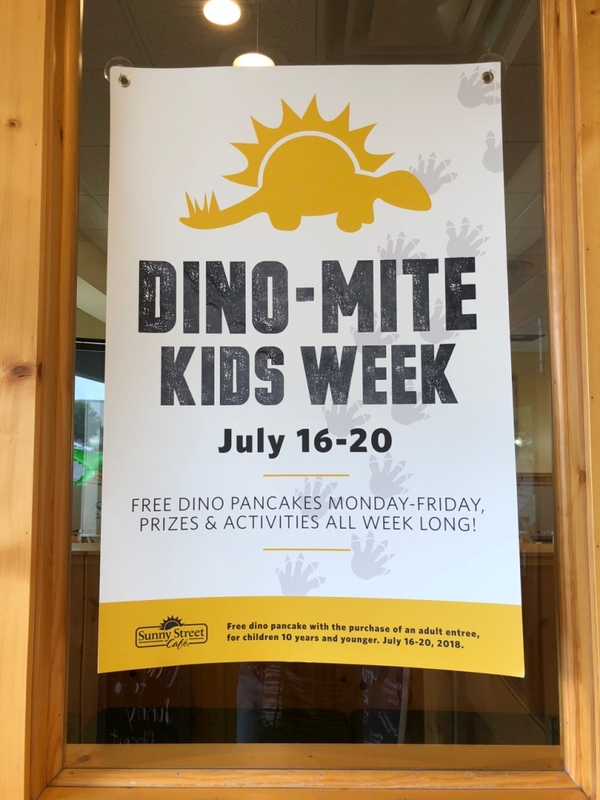 This week only, each location will offer a range of kids games and activities with a dinosaur theme as well as a free kids’ pancake shaped like a dinosaur with each purchase of an adult entree! 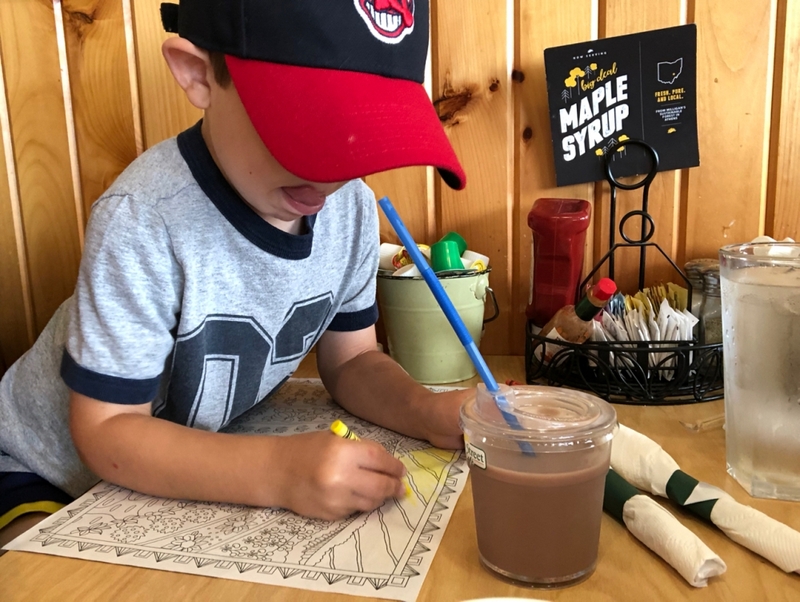 Sunny Street Café Upper Arlington invited my family in to experience what Dino-Mite Kids Week is like at their location. 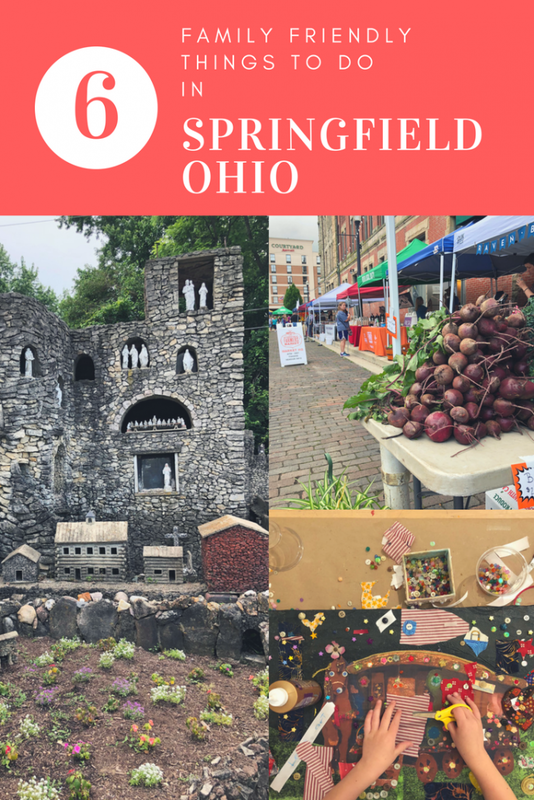 (Activities will vary by location.) 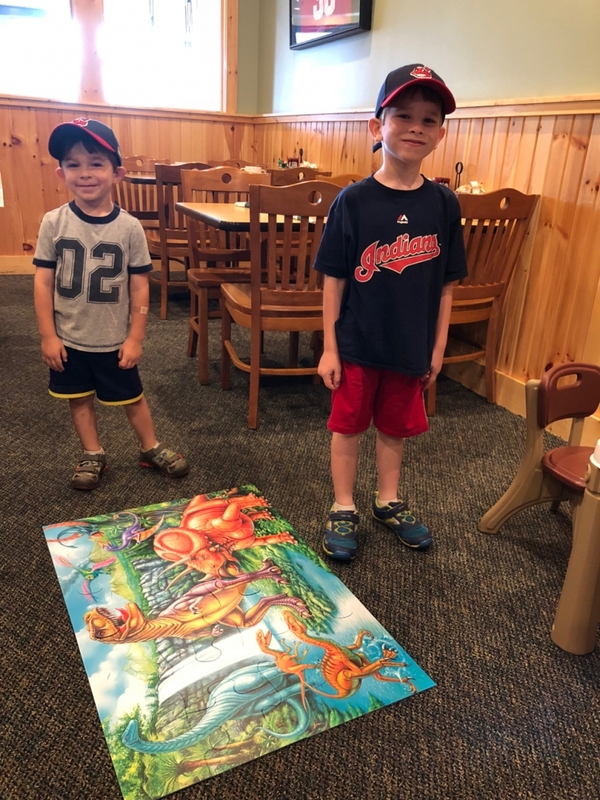 This was particularly timely because my youngest has really been into dinosaurs lately and it happened to be the theme of his 4th birthday party just a few weeks prior! 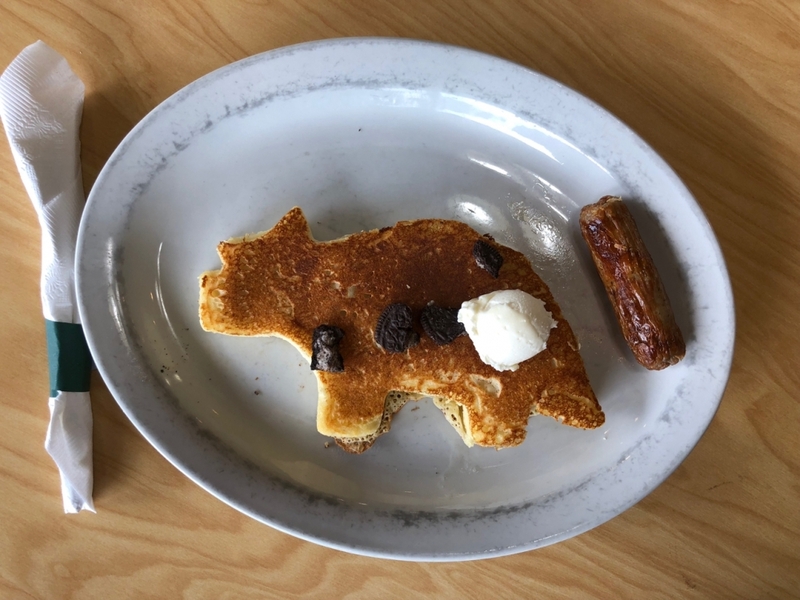 If your kids aren’t into pancakes, the Kids Menu includes other dinosaur-themed options like: Triceratops Toast (French Toast) or Pterodactyl Eggs (Eggs and toast) which include a choice of bacon or sausage and a drink for just $4.99. 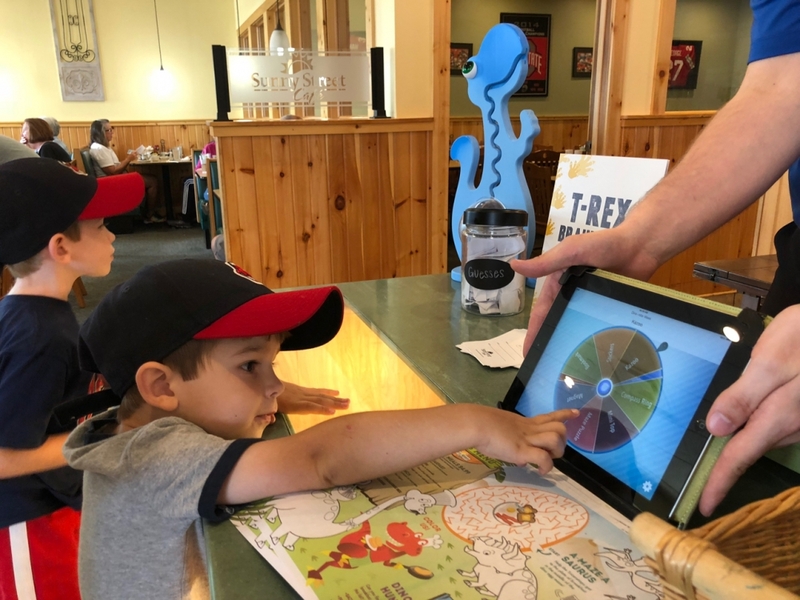 When you check out, kids can spin the prize wheel to win a prize! 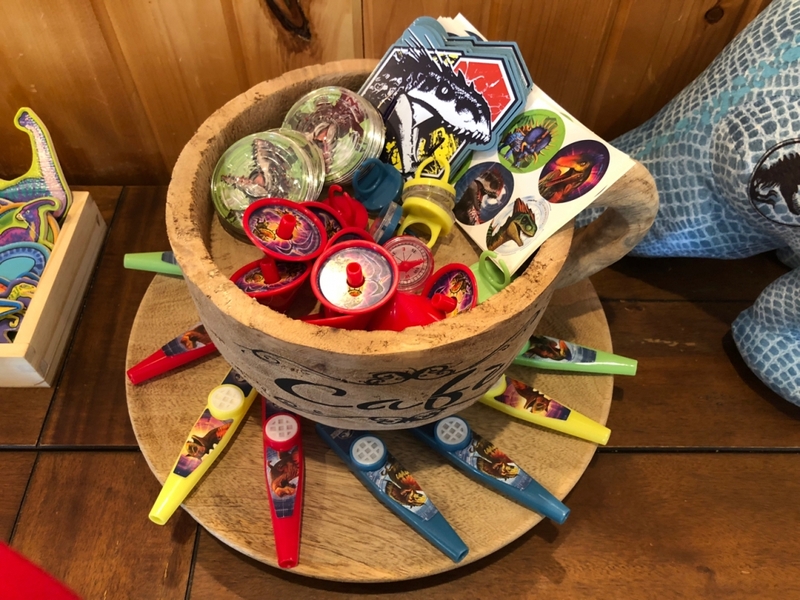 My kids won a compass ring and a sheet of dinosaur stickers! Enter the contest to guess how many dinosaurs are in the dinosaur’s tummy! The winner will get a gift card and other dinosaur-themed prizes! 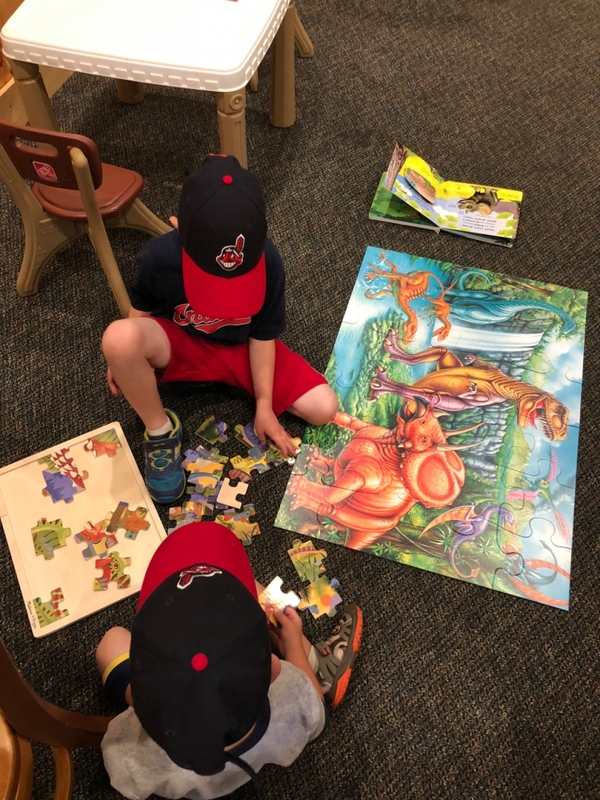 The Upper Arlington location will be showing dinosaur-themed shows and movies on repeat in the conference/kids room. 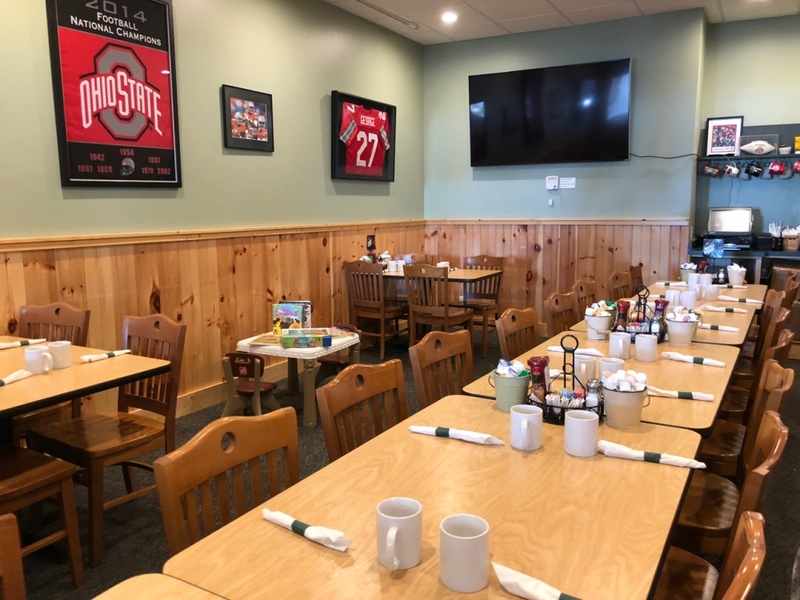 Make sure to ask your server at the Upper Arlington location to watch your pancakes being made on a live video feed! Dinosaur-themed coloring sheets and connect the dot sheets will be available for coloring! 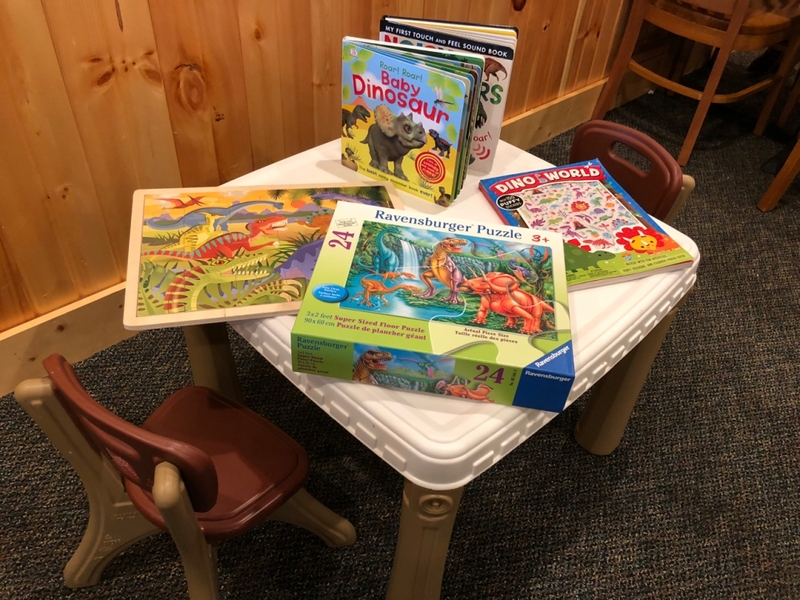 Check out the dinosaur puzzles and books on a kid-sized table! 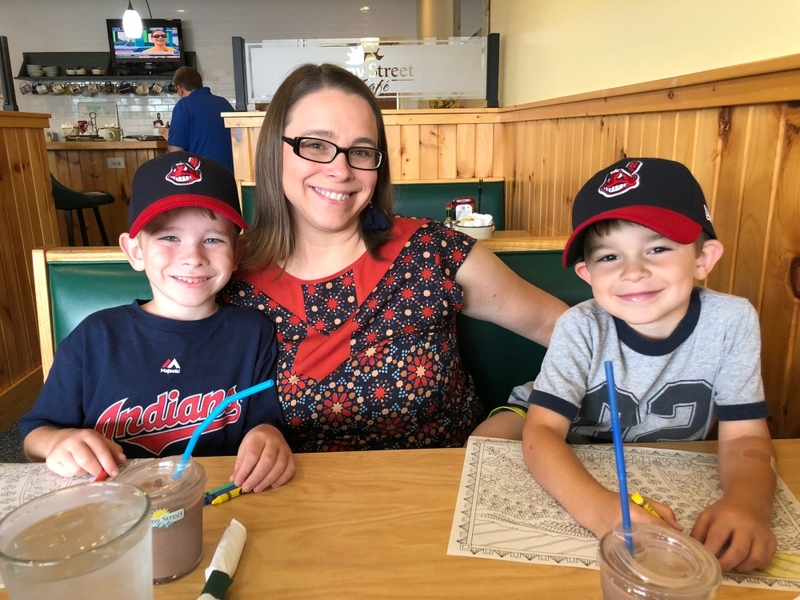 The Upper Arlington location of Sunny Street Café will offer impromptu story times. 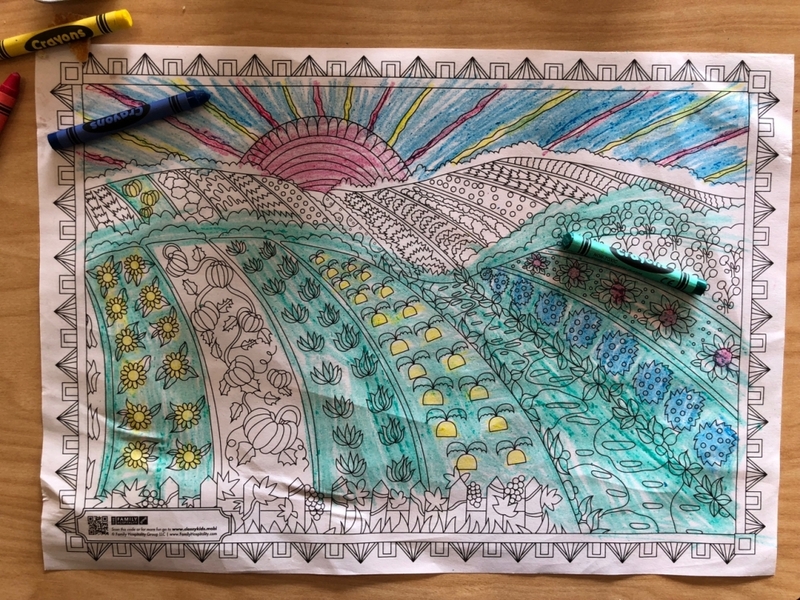 Leave your colored placemat with your name and contact info for the restaurant to hang up! At the end of the week they will pick the best piece of artwork and a prize will be given! 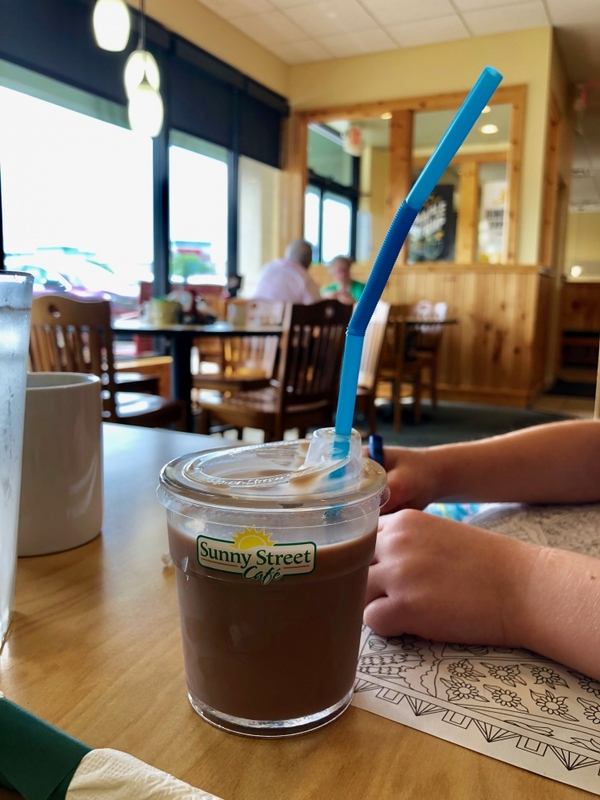 This week, Sunny Street Café has started offering a new, reusable kids cup that can be used with or without a straw! These cool cups are also available for purchase. Tasty Meals for Adults, Too! My husband and I were stuffed when we walked out the door! 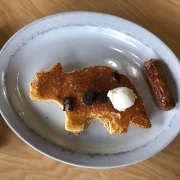 This is a solid breakfast spot – dinosaurs or not! 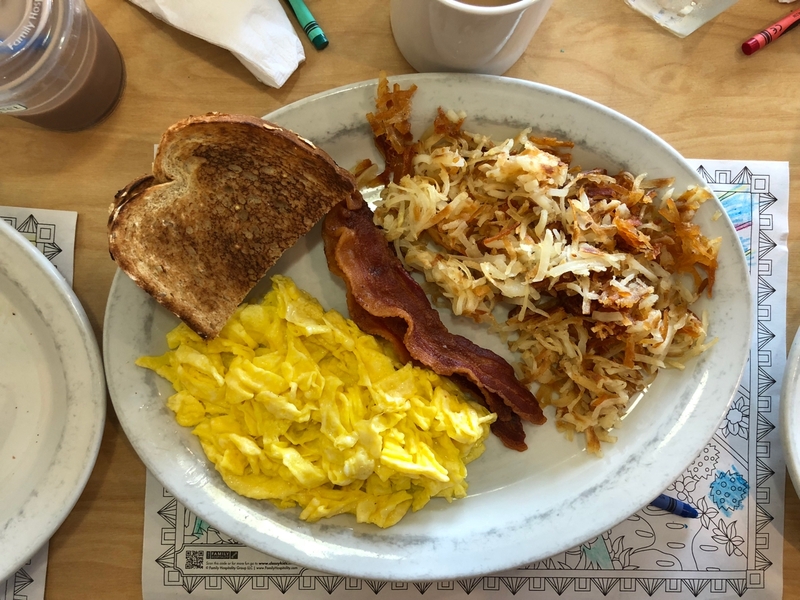 If you’re looking for a classic breakfast and kids meals that won’t break the bank (I’m super happy about the fact that they include a drink!) this is your spot! 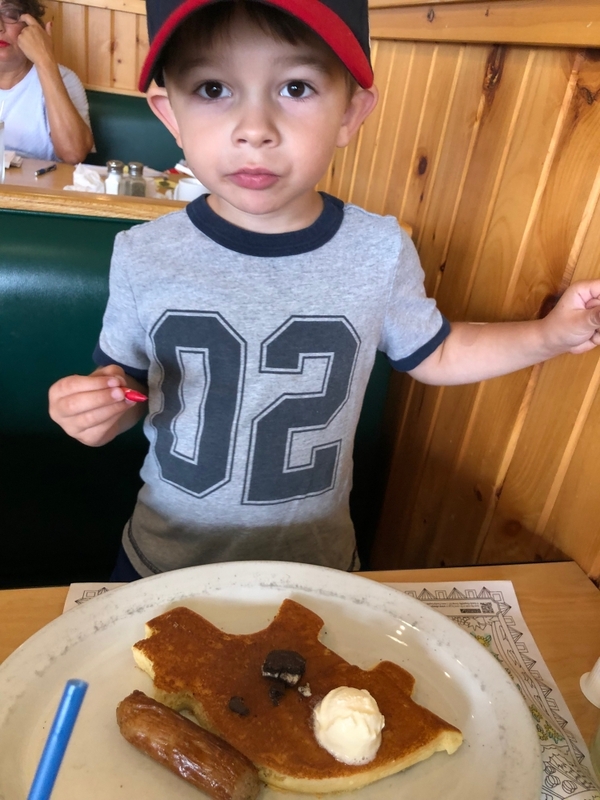 http://whatshouldwedotodaycolumbus.com/wp-content/uploads/2018/07/sunny-street-dino-pancakes-2-e1531765542422.jpg 750 1000 Julie Miller http://whatshouldwedotodaycolumbus.com/wp-content/uploads/2018/01/What-Should-we-do-today-columbus-NEW-blue_03.png Julie Miller2018-07-16 15:32:392018-07-16 15:32:39This Week Only! 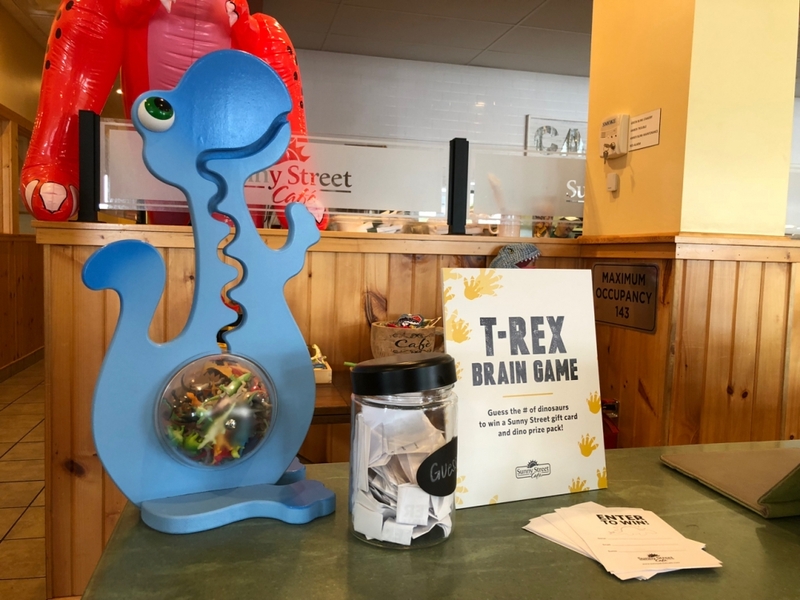 Sunny Street Café Offers Dino-Mite Kids Week!